The U.S. suffered its deadliest single tornado in 60 years on Sunday. 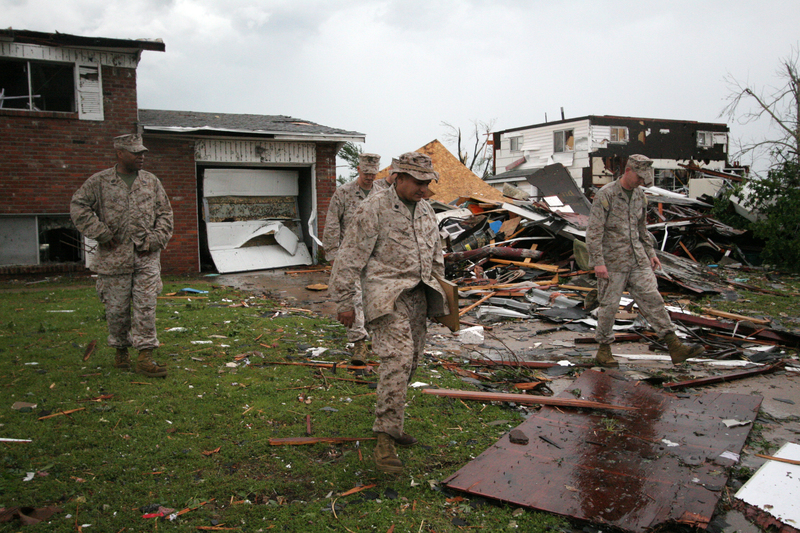 More than 115 people were expected dead in the disaster, which destroyed much of Joplin, Mo. Staff Sgt. 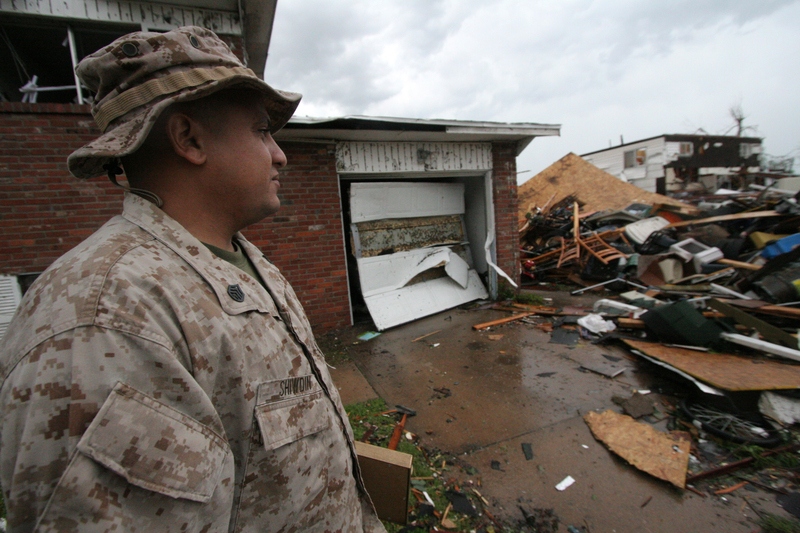 Neville Shiwdin (center) and his fellow Marines look over his family's home in Joplin, Mo. Staff Sgt. Neville Shiwdin struggled to keep the door closed on his home's closet where he, his wife and kids took shelter. 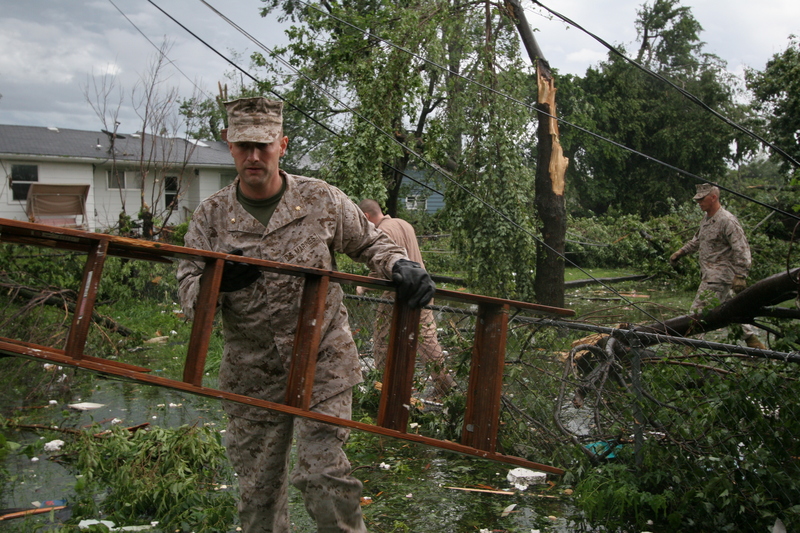 Maj. Thomas McGee finds a ladder among debris so that he and others can begin patching one of his Marine's roofs May 23 after it was damaged by the tornado. McGee is the commanding officer of Recruiting Station Kansas City.